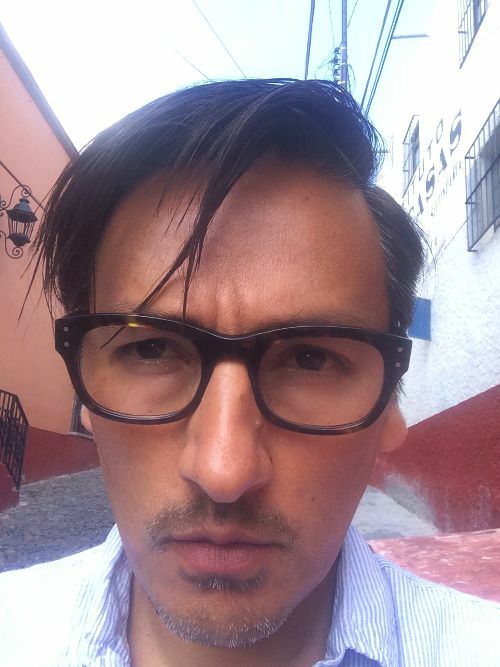 Ramón García is the author of The Chronicles (Red Hen Press, 2015), Other Countries (What Books Press, 2010) and Ricardo Valverde (U of Minnesota P, 2013), He has published poetry in a variety of journals and anthologies including Best American Poetry 1996, Ambit, The Floating Borderlands: Twenty-Five Years of US-Hispanic Literature, Crab Orchard Review, Poetry Salzburg Review, Los Angeles Review, and Mandorla: New Writing from the Americas. He’s a Professor at California State University, Northridge and lives in Los Angeles. When we were students in San Diego. Like some people live in the aura of celebrities. Genetically altered hybrids of a fish and a chicken. They could fly from the rivers up into the trees. And kept the Cuban people from starving. Unrealizable ambition or grotesque madness? Far from the tropics, we too feed on forgettable monsters. I have imagined us meeting after all the years. Some day, perhaps soon, we will see each other again. Lingering in the last few years of handsomeness still left to you. Visited by who we are now.